Struggling to find good quality sushi rice at your local store? The variety of rice used can have a considerable impact upon the overall success of your sushi. 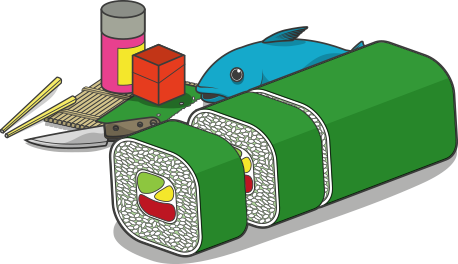 While readily available at most supermarkets, conventional long and medium-grain rice generally contain less starch that short-grain sushi rice, making it far less adhesive after cooking. If you want robust sushi that won’t fall apart at the dinner table, sticky rice is essential! Great quality rice starts with invested development and good farming practices. Created in 1962, Kokuho Rose took over a decade of trial and error before the strain was considered of sufficient high quality for the commercial market. Slower to mature than most other varieties, Kokuho Rose also grows taller, embodying it with far more flavor. Grown exclusively in California, Kokuho Rose was the first variety of Japanese-style rice introduced to the American market, and has now set a precedent for appearance, quality and flavor that even Japanese producers find hard to compete with! All sushi rice necessitates some degree of handling when making sushi rolls. But, not all varieties stand up to being manipulated very well. Boasting plump grains and excellent adhesive qualities, Kokuho Rose is an excellent choice for sushi-making because it doesn’t lose its stickiness – even when cooled. For best results, we thoroughly recommend steaming, however, Kokuho Rose can also be prepared in a rice-cooker in under fifteen minutes. Aromatic and slightly sweet to the palate, Kokuho Rose Japanese-style Rice paired with fish is a perfect marriage!